Models 2011 and 2012 ammeters & voltmeters are moving coil type instruments using a taut-band suspension system. The suspension system provides excellent reproducibility without friction, and strong resistance to shock impact. These precision instruments combine a magnetic circuit (sandwich mechanism) that blocks the effects of external magnetic fields, and a superior temperature compensation circuit. 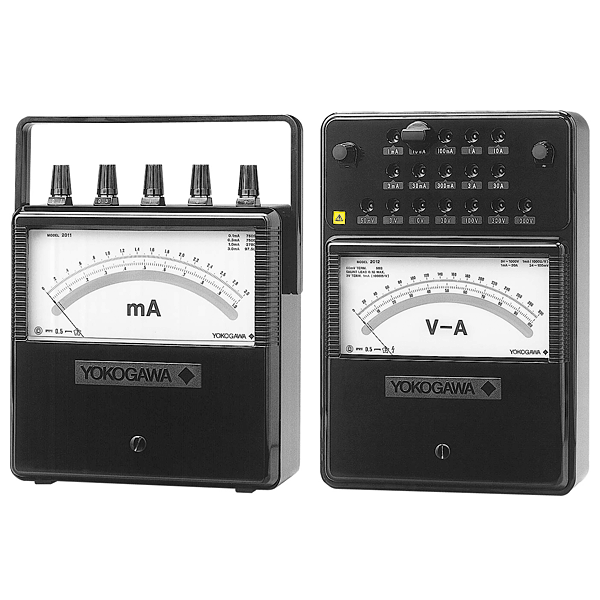 The scale for the 50mV instrument has 100 and 150 divisions. A 50 mV current transformer may be combined with any rated current instrument to read measurements through a simple conversion process. DC scales (single scale or dual scale) are also available by special order. Magnetic circuit (sandwich mechanism) reduces the effects of external magnetic fields.